India's MRP and Packaged Commodities Acts are dated and not in line with the modern world’s digital price mechanisms and comparisons. India-based multi-brand retail giants are questioning any demarcation in labelling rules between them and single-brand retailers. In the hope of billions of dollars in foreign direct investment (FDI), the government is planning major changes in the labelling norms to exempt international single-brand retailers from stamping the Maximum Retail Price (MRP) on every product. This has been a major demand of a host of global entities, including furnishing giant Ikea and infotech major Apple. They want to follow the international labelling norms for both aesthetic and cost reasons, they say. Indian multi-brand retailers question this. “Why should foreign retailers get this preferential treatment? In Thailand or the Middle East, they have to print the labels in local languages and they obey. What is the problem here?” asks Rakesh Biyani, joint managing director, Future Retail. 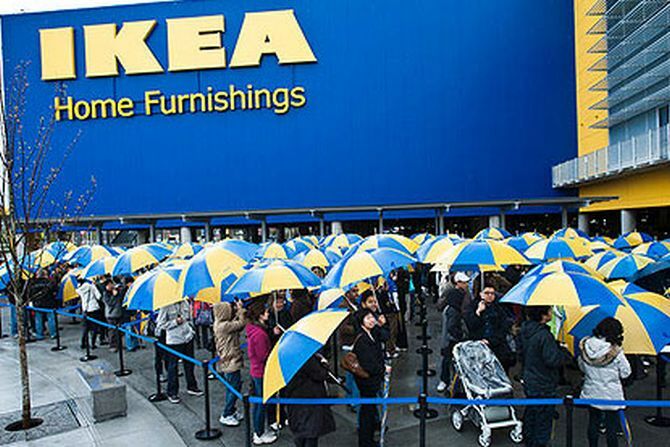 In an interview to Business Standard sometime earlier, Mikael Palmquist, retail president (Asia- Pacific) for Ikea, had said individually labelling the MRP on every product drove up their cost. “In India, there is an MRP slip on every product and we are 100 per cent aligned with that. But, in a modern retail society, we can use things like phones to check prices on the website to maintain transparency. Labelling of items individually drives costs. We work with some of the international retailers and relabelling that has to happen when the products enter India is a concern,” he had said. European Business Group, which includes retailing majors Ikea, Hennes & Mauritz AB and Decathlon, have had several discussions with the government on labelling norms. In January this year, the government had indicated it was ready to tweak the norms for single-brand retailers and to make changes in the Packaged Commodities Rules, 2011. Sources say discussion on this has been held at multiple levels and the general consensus is to allow the change in the rules, in the interest of consumers and the companies alike. “When we have allowed multinational single brand retail companies to set up businesses in India, there is no reason why this should not be allowed,” said a senior official from the department of consumer affairs, the nodal ministry in this regard. Indian retail sector bodies want the rules to be the same for all. “The MRP and Packaged Commodities Acts are dated and not in line with the modern world’s digital price mechanisms and comparisons. "Also, the distinction between single-brand and multi-brand is unique to India and truly confusing. "Neither FDI in retail nor consumer affairs policies should be based on this,” says Kumar Rajagopalan, chief executive at Retailers Association of India. “The government’s plan seems unclear. We have to see what happens with the final rules. "This is an evolving process and I think the government will realise that there is no need for a dual policy and things would change for us as well,” said Anand Agarwal, finance head at V-Mart Retail. Why can't you order online IN an Indian store?